The highly regarded New Florence Nursing & Care Center has now become part of the St. Andrew’s family! The new chapter begins, as St.Andrews at New Florence & St. Andrew's Resources For Seniors System, together, forge ahead in a partnership in which they will truly be one, working together to create a society where all elders are respected, productive, secure, and fulfilled. This strengthened relationship, and the many improvements we have on the horizon, will bolster our position as a first-class nursing home that provide multiple services in senior care. What Is St. Andrew's Resources For Seniors System? St. Andrew’s Resources for Seniors System has been empowering elders and their caregivers for 52 years through choices and options that foster a vital life. A commitment to fulfilling this mission is at the heart of all the services provided, as the system annually serves 8,000 seniors and caregivers of all socio-economic levels. Almost 120 of those seniors are served directly by St. Andrew's at New Florence, a non-profit, active senior living community that opened in 1975. The staff actively volunteer at area events and make valuable contributions to the community. A few of these efforts include: participation on the county's Disaster Planning Committee; working at local health fairs; and hosting educational programs for area residents. To provide caring and comprehensive skilled, residential, and rehabilitative services to the residents of New Florence and Montgomery County. Our current 120 rooms include 87 Licensed Skilled Nursing beds and 23 Residential Care residences. Our Medicaid Program has No Wait-List! Amazing things happen when people with passion dedicate themselves to doing good. And when the people behind two non-profit organizations with a shared passion for serving seniors unite, it’s a real cause for celebration; because together, they can do so much more. That year, several local citizens of New Florence and Montgomery County got together and decided that New Florence would be a good place to build a Long Term Care Nursing Home, bringing much needed services to the local community. With donated land and community members taking out bonds to get the home built and opened, these local citizens then became the original board members and saw the project to fruition. The original building was a 60 bed Skilled Nursing Facility. 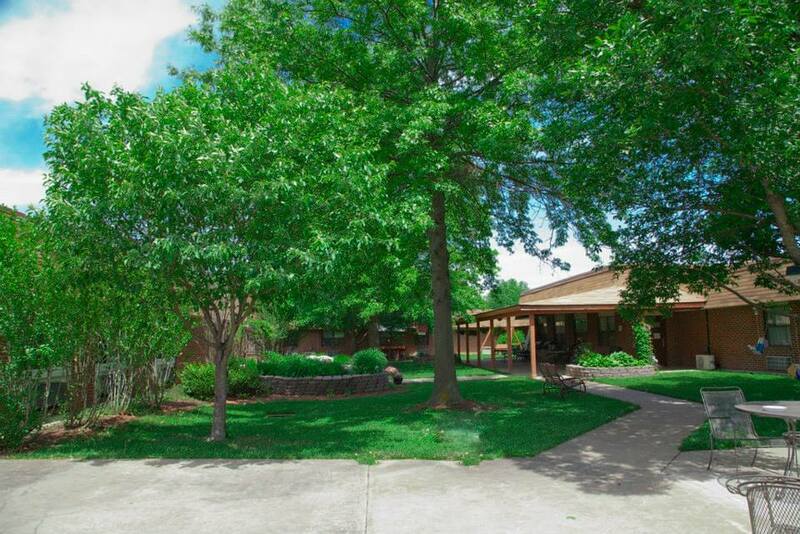 In 1987, an additional 20 bed Intermediate Care Facility and a 40 bed Residential Care Facility was constructed. In 1995, the Board of Directors hired St. Andrew’s to manage New Florence Nursing & Care Center. Since that time, they have successfully worked together to serve the members of the community and carry out the mission the original board members had in mind. After years of management services, the highly regarded New Florence Nursing & Care Center joined the St. Andrew's family in February, 2018: becoming St. Andrew's at New Florence. 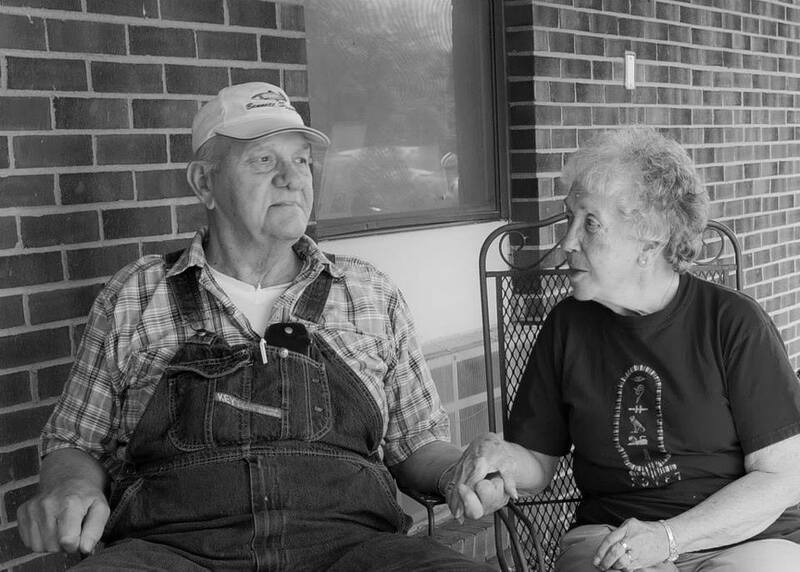 This strengthened partnership, which today develops, owns, operates and manages retirement housing, assisted living and skilled nursing facilities; provides home and community-based services; serves as a voice for seniors at the state, national and international level; and oversees a successful charitable foundation that raises funds in support of its mission. Soon, a new chapter could begin for St. Andrew's at New Florence. Please stay tuned for more exciting announcements. Now together as one, working together, we are furthering our mission to create a society where all elders are respected, productive, secure, and fulfilled. St. Andrew's at New Florence receives guidance from a volunteer Board of Directors. These area representatives take their responsibilities seriously and graciously offer their time to ensure the success of the organization. The Board continually strives to further our mission to care for the senior members of our community. Thank you to Marsha Cope and all the wonderful nursing, housekeeping, dietary and maintenance staff for the warm homecoming shown to my Dad this weekend. It only took us 8 weeks away to realize that St. Andrew's at New Florence truly is "home" to each and every one of your residents. You all continue to go above and beyond industry standards in the care you deliver. 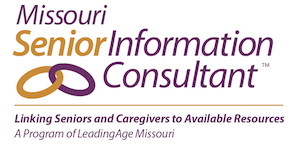 New Florence's own Nikole Bohnert was recently certified as Missouri Senior Information Consultants by LeadingAge Missouri. This prominent designation recognizes their knowledge and field experience in the senior care profession. 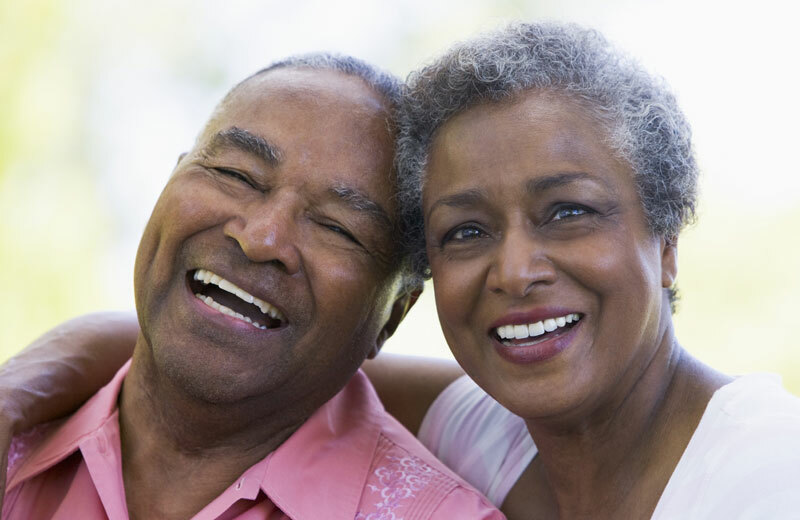 By providing statewide training on topics significant to seniors and their caregivers, the program trains senior care professionals on how to assess needs and clearly disseminate senior care and service information. Missouri Certified Senior Information Consultants are qualified professionals who evaluate the issues and direct people towards the right solutions. This is an added resource at New Florence for families. Please contact our consultant at <="" span=""> (573) 415-9333 or by email.